To live in a pristine land unchanged by man...to roam a wilderness through which few other humans have passed...to choose an idyllic site, cut trees and build a log cabin...to be a self-sufficient craftsman, making what is needed from materials available...to be not at odds with the world but content with one's own thoughts and company. Thousands have had such dreams, but Richard Proenneke lived them. He found a place, built a cabin, and stayed to become part of the country. 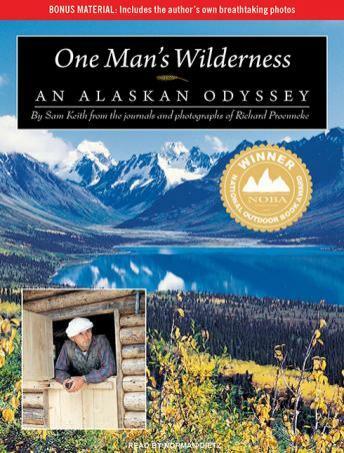 One Man's Wilderness is a simple account of the day-to-day explorations and activities he carried out alone, and the constant chain of nature's events that kept him company. From Proenneke's journals, and with first-hand knowledge of his subject and the setting, Sam Keith has woven a tribute to a man who carved his masterpiece out of the beyond.